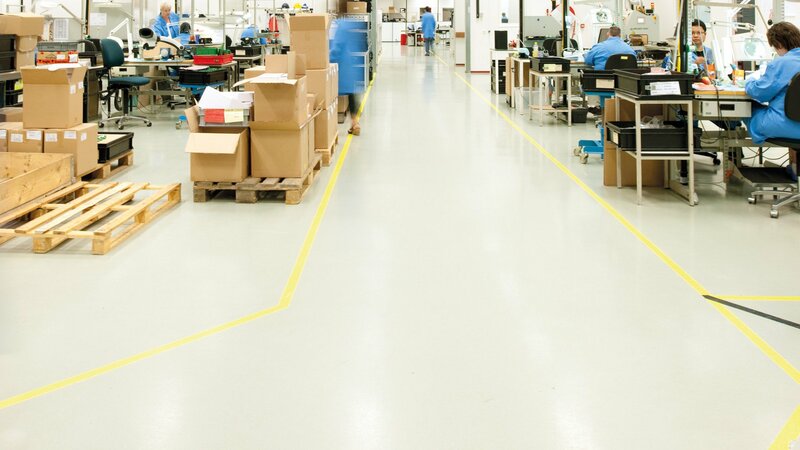 This ESD-safe, electrically conductive flooring system meets the latest electrical standards and prevents triboelectric charging to a great extent. Fine silicon particles strewn into this floor finishing system produce a lightly dotted effect. Ideal for medium (fork-lift truck) traffic. And: seamless, durable, impermeable to fluids, low-maintenance and applied on site by own specialists. 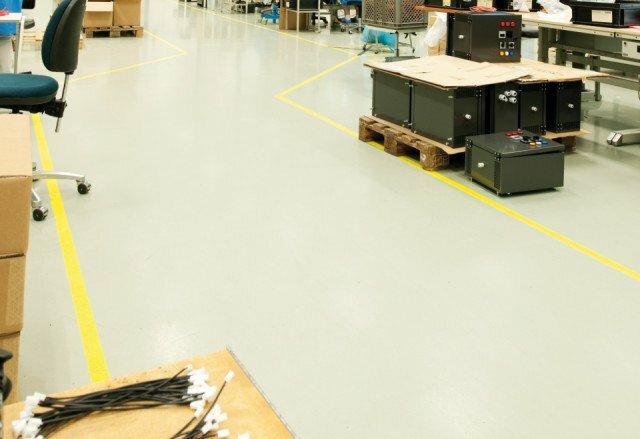 Bolidtop E.lo 20345 is a 2.5 mm thick electrically conductive low charge flooring system based on two component synthetic resins with little odour to which electrically conductive inert filler has been added. The electrical resistance can be measured using the latest methods. The personal charge in combination with the ESD right footwear does not rise above 60 Volts. Bolidtop E.lo 20345 is very suitable for medium traffic such as forklift trucks and heavy pallet wagons. Bolidtop E.lo 20345 is resistant to the most usual chemicals and is applied in liquid form. Bolidtop E.lo 20345 is available in a large number of dark shades. Bolidtop E.lo 20345 is resistant to the most usual loads. Bolidtop E.lo 20345 is resistant to the most usual chemicals and cleaning products.